It’s an admittedly simple storyline, and in talking to people about the movie (all of whom haven’t seen it yet), they think that means it has no story. On the contrary, it has exactly as much story as it needs, and to add more would be both unnecessary and a distraction. It’s a survival story; if the narrative isn’t streamlined, they’re doing it wrong. 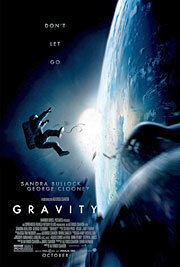 It would not surprise me in the slightest to discover that this movie was actually shot in space. The movie looks shockingly real, capturing the claustrophobia of life in space (and the peripheral vision limitations that come with wearing a space suit), employing a dizzying amount of zero gravity footage, and rounding things out with some of the most spectacular images ever put on film. Even better, Cuarón doesn’t even draw extra attention to those images, because he knows that the shots will speak for themselves (two words: northern lights). Cuarón also assembles another jaw-dropping tracking shot (fans of “Children of Men” just nodded knowingly), and he receives bonus points for being the first director since James Cameron to effectively employ 3D technology in a live-action movie. You will rarely read these words on this site, but absolutely see this movie in 3D. Forgive the overuse of first person (it’s generally verboten in any kind of written criticism) for this last paragraph, but it must be done. Critics are always so afraid to give a movie the highest grade on their scale, and I’m no exception. (My theory is that we’re worried about history proving us wrong, which is pretty silly when you think about it.) 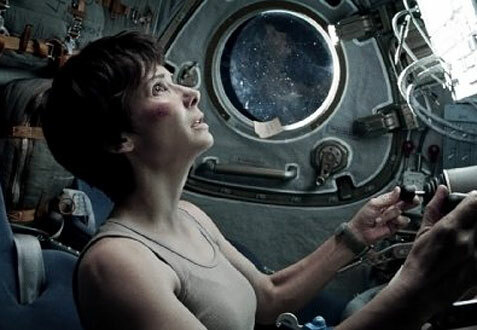 I’m giving “Gravity” five stars because it provided two unforgettable experiences: the one when I was actually watching the movie, and the other in the days since where the movie is still playing virtually nonstop in my head, and I absolutely cannot wait to see it again. Actually, the movie provided a third unforgettable experience: I couldn’t help but think of how much Roger Ebert would have loved this movie, because of how it taps into the magic of moviemaking. And Roger wouldn’t have thought twice about giving this his highest rating.